Christmas is a natural time to look into the past. Whether it’s Ebenezer Scrooge visiting his younger years, families laughing at old videos or tree decorators reminiscing over homemade ornaments made years ago, Christmas can be a time of reflection, gratitude and nostalgia for many of us. 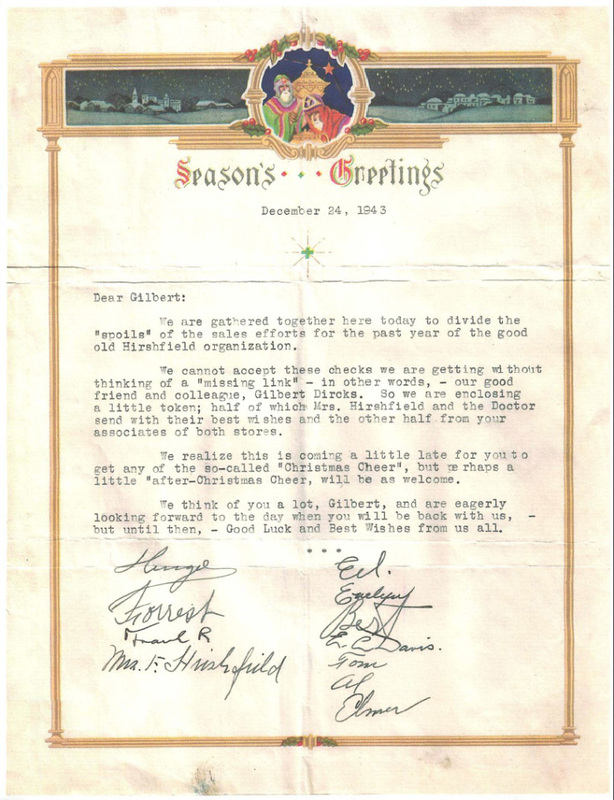 Hirshfield’s is looking back 70 years in the following letters, which were written in 1943 during WWII. 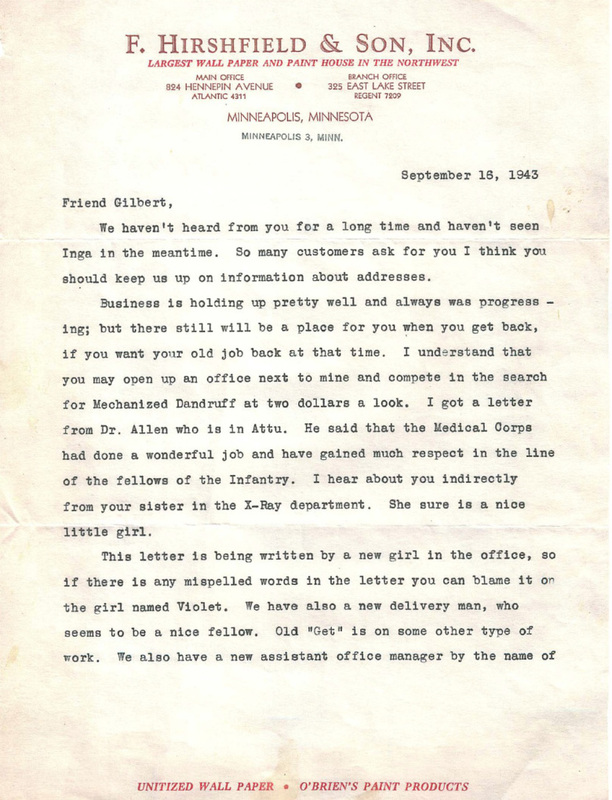 The letters’ authors are writing to their friend and colleague Gilbert, who served overseas during the war in the army’s medical corp, eventually becoming a POW. 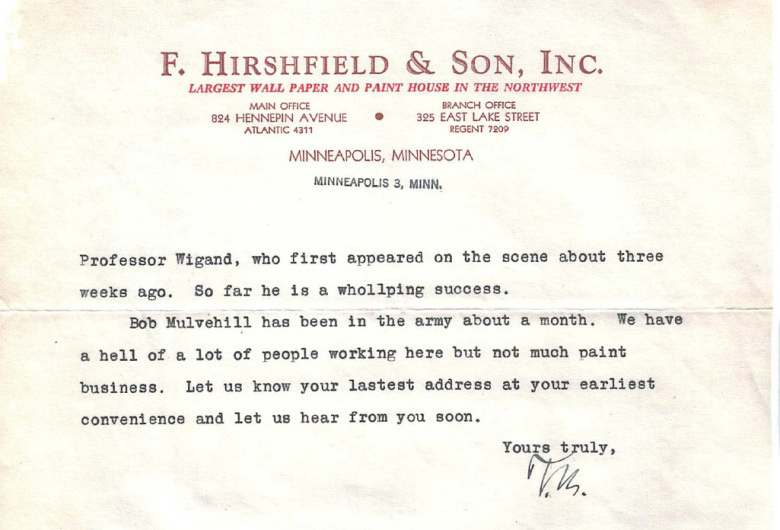 After the war was over, he returned home and went back to Hirshfield’s, where he worked until he was in his 80s. Note: when you see a reference to “Mrs. 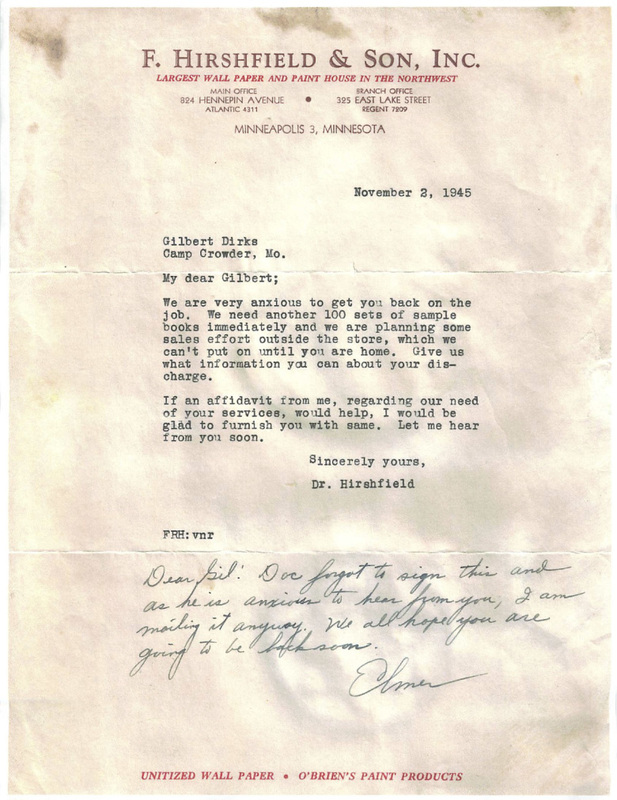 Hirshfield and the Doctor,” they are referring to Hans’ grandfather who not only ran the business but was also a physician. Apparently this surprised some of his patients who, when they noticed the doctor’s paint-splattered shoes, questioned the validity of his credentials.